You know, I love me some leftovers!!! I actually have a hard time understanding people that can’t eat them. Some food just taste even better the next day. Granted, you do have to reheat it properly OR MAKE IT NEW AGAIN…. So just to preface this, we are not vegetarians. This just happens to be a meat free option, helps on the food budget, but you can easily add whatever protein you like. 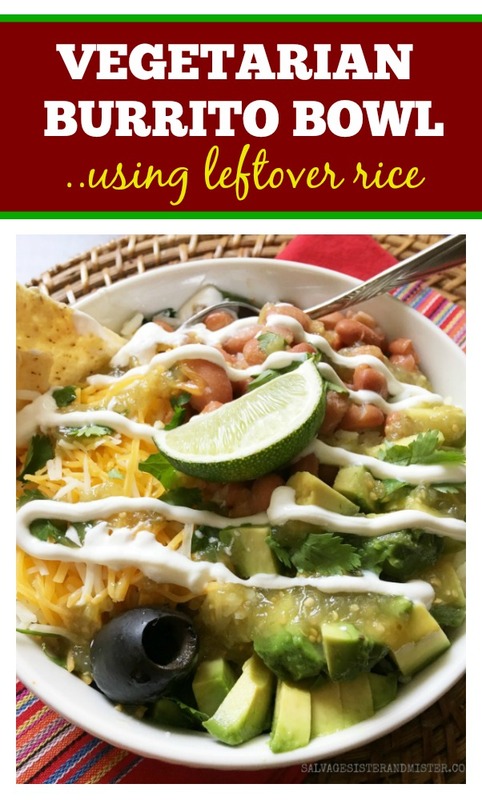 Really, this can be customized to each person’s liking by setting out all the toppings for each person to make their own….great for picky eaters. TIP – Since this comes together so quickly, cut up all your toppings ahead on heating anything up so everything is ready to go while it’s hot. 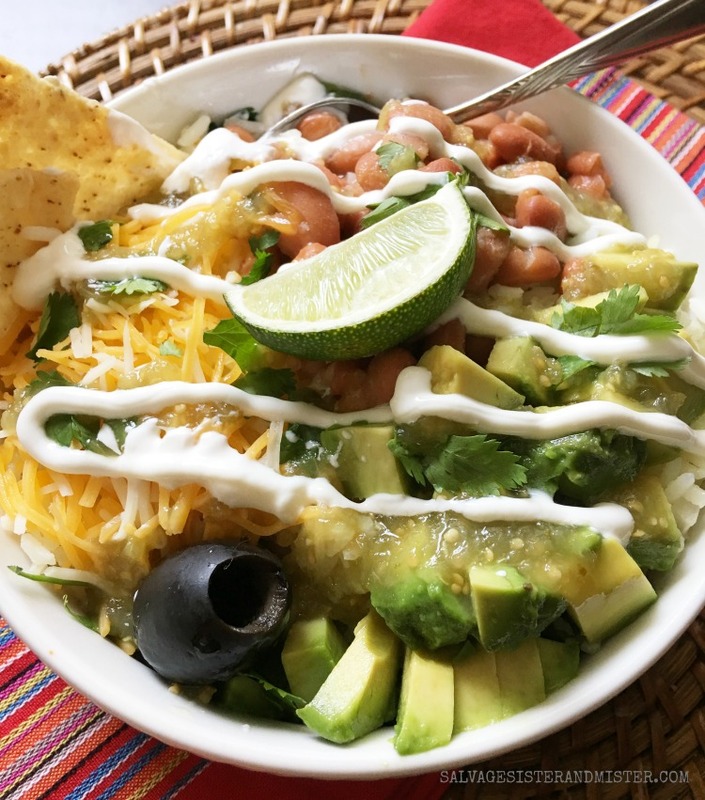 Use leftover rice to make these vegetarian burrito bowls. 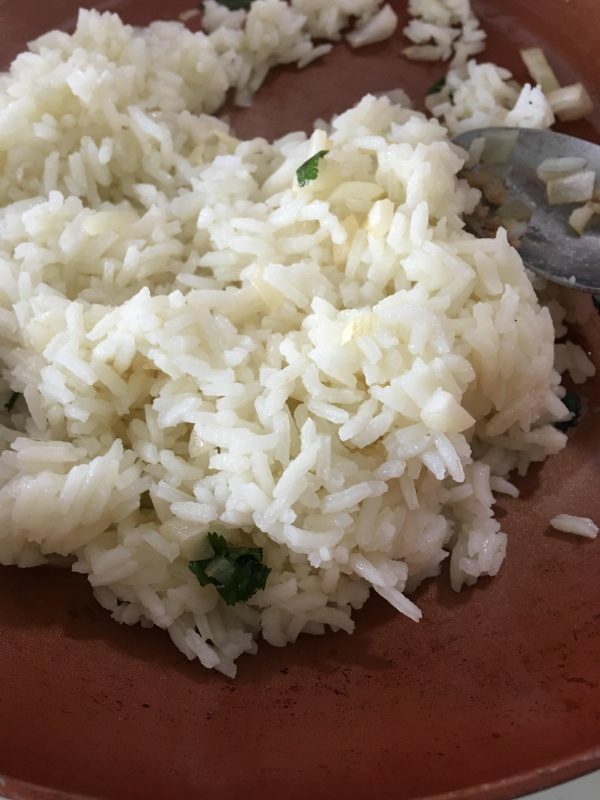 The biggest tip here is get some flavor into that rice. Amounts are not used here as it really depends on how much rice you have, how many people you are feeding, and how much they eat. Generally speaking, you will need about 1 c of cooked rice person. In a pan, on medium, add a drizzle of olive oil, to coat pan. To the pan, add some onions. 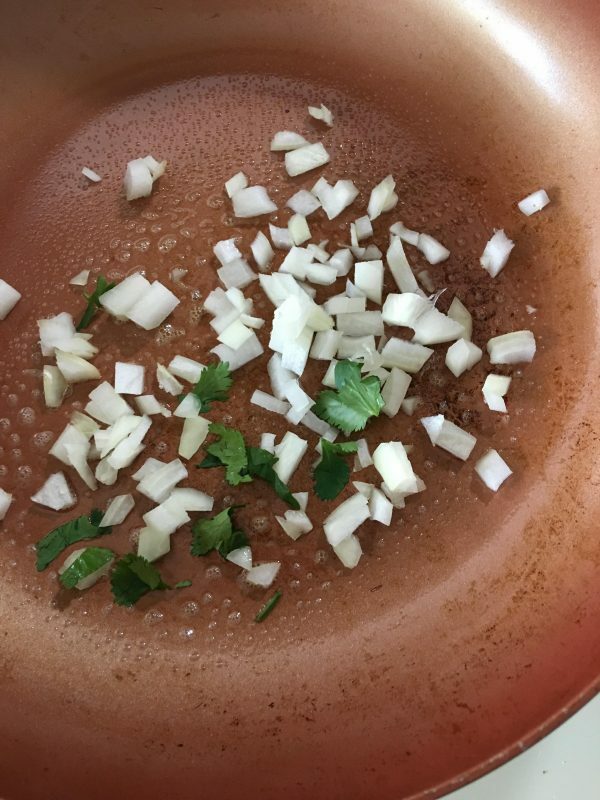 Cook until onions are tender and then add some of your cilantro. Add rice to onion and cilantro mixture. 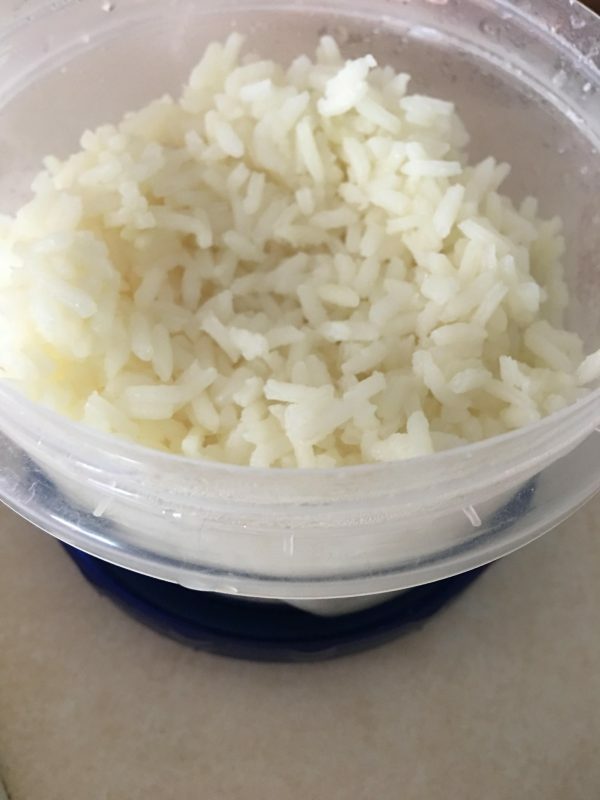 Break apart the rice and cover with a lid, stirring frequently. Cook until rice is warmed through. Note - Add a touch of water/broth if needed. Remove rice from pan and squeeze some lime juice over top., set aside. 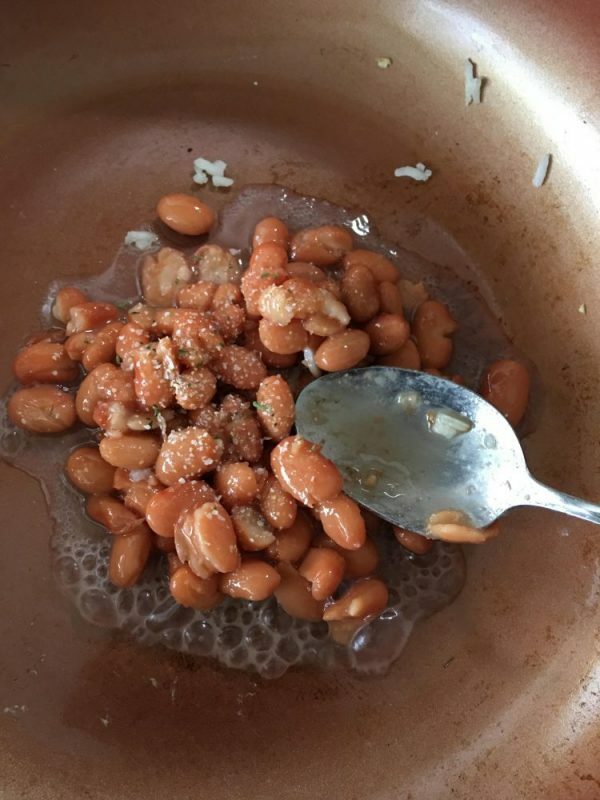 Remove beans and heat up corn with some butter, salt, pepper, and a touch of lime juice, if desired. 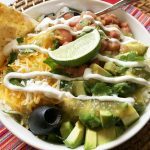 Have all your toppings cut up and ready so everyone can assemble their burrito bowls. Thanks so much for stopping by today. Our goal, here at Salvage Sister & Mister, is to help you make the most with whatever it is you have. This looks seriously good. I am not a vegetarian either, but I am not crazy about meat, this version with the beans and cilantro is very appetizing. Pinning. We try to eat Vego once a week and have just added this deliciousness to our menu plan for next week! Thank you so much for sharing! Sam, Yeah it sure helps our finances and honestly I am not a huge meat eater. I like some but not a ton.